If Friday is for finishing, then surely Saturday must be for starting? Here are the next knitting projects I have lined up to keep my hands busy. 1. 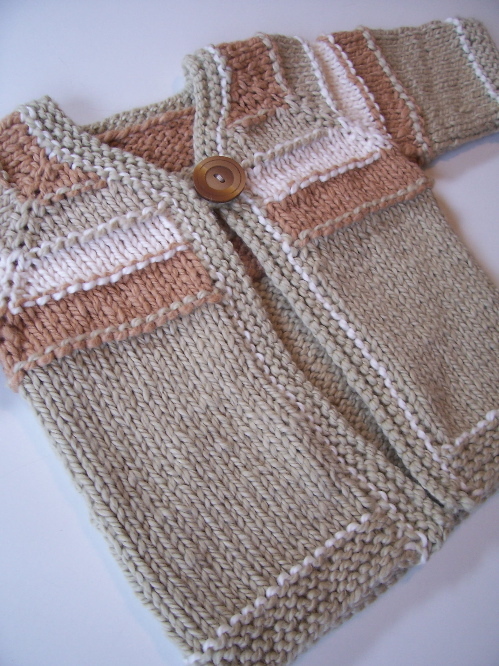 Super Natural Striped Baby Sweater for the little one expected by some friends of ours. The pattern is from the talented f.pea who graciously shares many of her lovely patterns for free on her blog. Photo of f.pea. 's handiwork taken from her blog. 2. The "turban look" Francine Headband by KnitMotion. This is the first pattern I've ever bought, other than those in a book. This one is for me and it should knit up quick because it's in bulky weight yarn. Photo taken from the inspiring KnitMotion. 3. 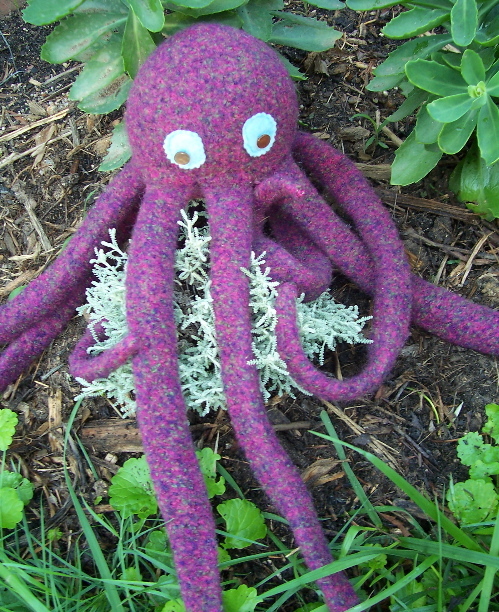 George the felted Octopus, also a free pattern from f.pea. This one will be for my nephew, who's one and a half. I'm pretty sure these projects will take me through the rest of the winter, aka "knitting season". Once spring hits I'm outside a lot more and will not be riding the bus so I generally put away my knitting.